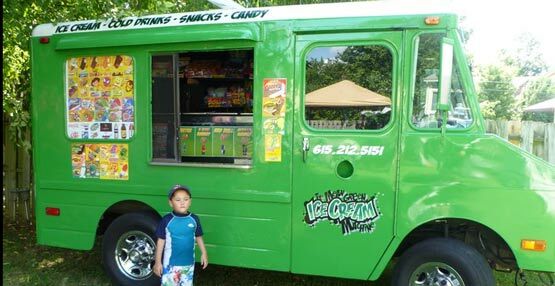 Renting Nashville Ice Cream Trucks Made Easy! Ready for Nashville business in 2019 - Contact us today to ensure your event is booked. Prepackaged ice creams, hand scooped ice cream desserts and hand scooped real Italian ices. 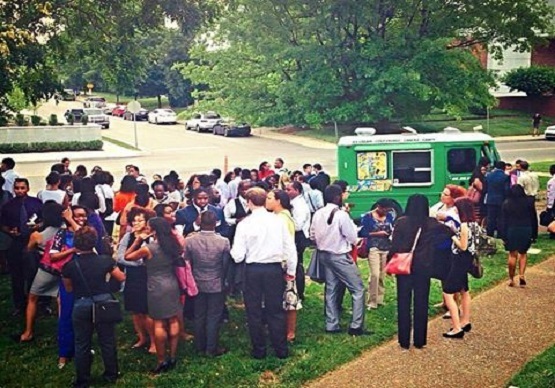 The Mean Green Ice Cream Machine is the popular Nashville ice cream truck rentals showpiece for your next event! 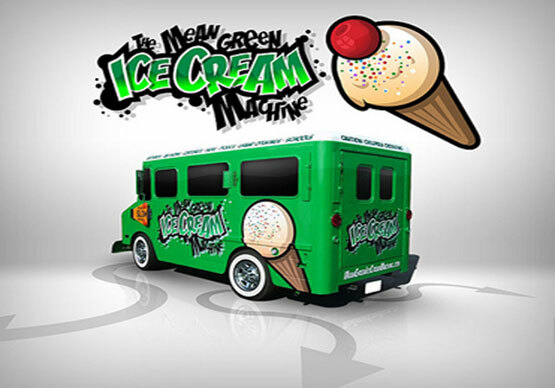 The Mean Green Ice Cream Machine can make your event sizzle with our customized vehicle complete with hydraulics, pumping tunes, green neon, wild graphics, bright green paint and of course ice cream! 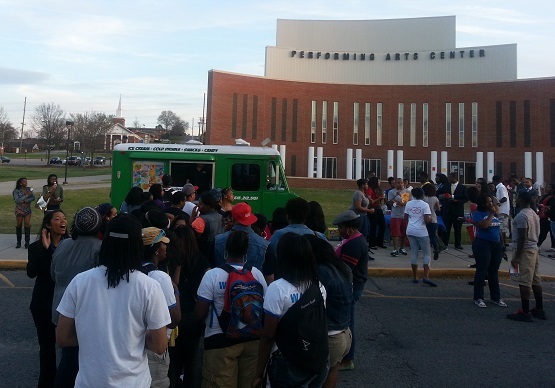 Find out how to book the coolest Ice Cream truck in Nashville and let us 'Wow the Crowd! 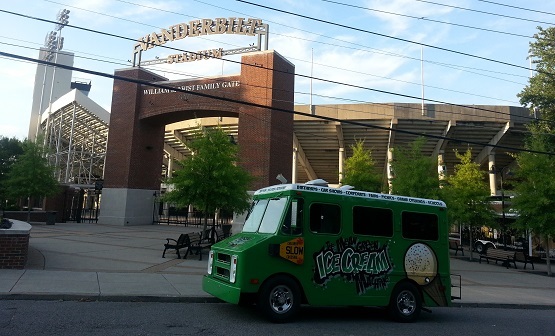 We have added a second truck...and we think even cooler than the original Nashville Ice Cream Truck. The second truck allows us to bring hand scooped premium ice creams and soon to be announced Nashville Italian ices truck for 2018. We can serve hand made desserts complete with ice ceam, syrups, toppings, etc along with the original old school prepackaged ice creams. Check out the trucks page for more details. See our Verizon Wireless Movie! We were also featured by Verizon Wireless in a short movie about using technology in our trucks. 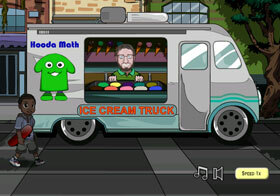 See the Verizon movie here featuring the owner of the Mean Green Ice Cream Machine. NEW!! 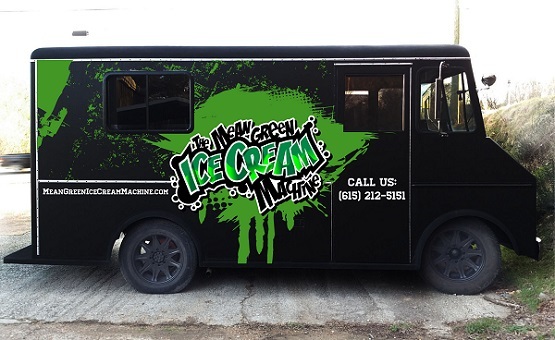 The Mean Green Ice Cream Machine has ripped out the old menu and now delivers a dual menu! 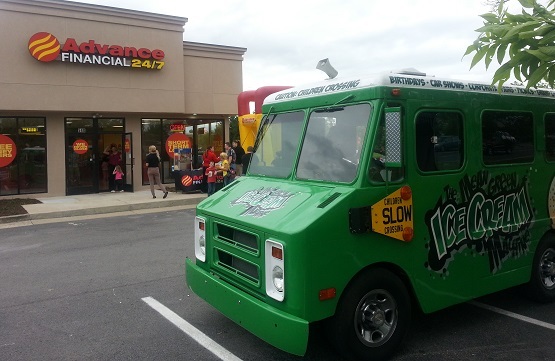 We have cleaned out the entire truck to make it a both an old school treats truck as well as a GOURMET Ice Cream Desserts Truck! We will now be serving hand scooped ice creams, and delicious desserts along with the old school treats. We continue to carry many of the old school pre-packaged treats which made us so popular, but now we have expanded due to demand for gourmet ice cream dishes and desserts. 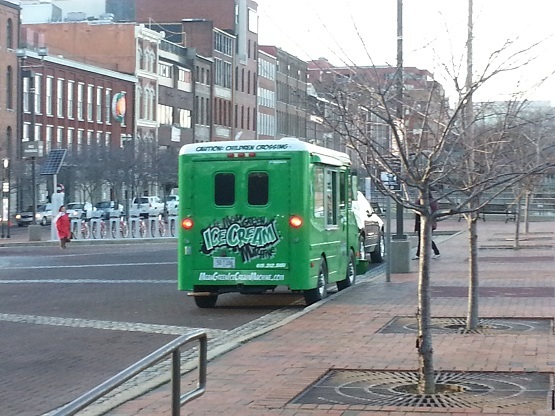 Have you looked at other companies that offer Nashville ice cream truck rentals? 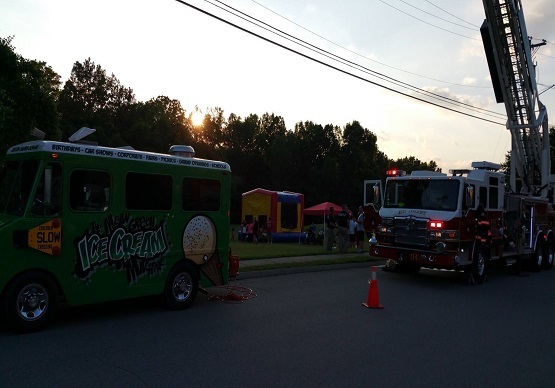 We urge anyone thinking of renting an ice cream truck to call around to get pricing and see what actually will show up. Most other companies have simple vans not designed with a floorplan to meet the rigid Tennessee Department of Health requirements. 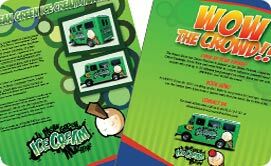 Do you want a van showing up or a rolling entertainment vehicle with custom paint, hydraulics, stereo and the proper freezer setup? 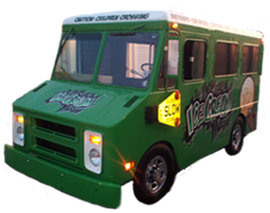 The Mean Green Ice Cream Machine is a family owned business and began with an original Good Humor ice cream truck. This vehicle was built by Chevy and International to specifically and only be used as an ice cream truck. In short, the truck was always an ice cream truck and has the proper setup for mobile use! Please check other companies to see the inside of their vehicles and compare! 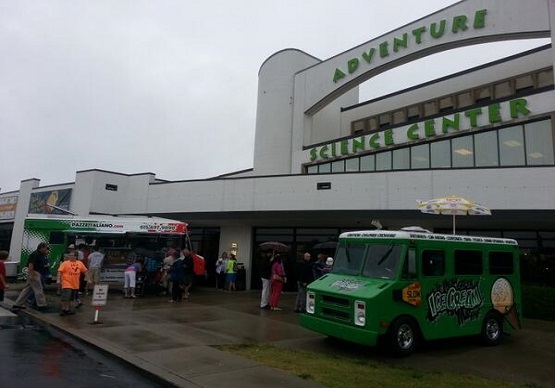 The Mean Green Ice Cream Machine is a family owned and operated business right here in Middle Tennessee. No managers or corporations. When you call or email, you are speaking directly to the owners who will also be the ones operating the truck. 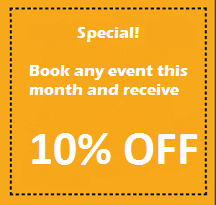 We do occasionally need help on some events and have family members working with us. You can be assured that everyone working with us is professional, uniformed and fun! No worries about who is showing up at your home or office. We are parents too and know it can be nervewracking as to who may show up. Be assured we are clean cut, professional and not just working for a paycheck. This is our business and proud to serve our customers. We are part of the Nashville Food Truck Association which is the premier organization in the Middle Tennessee area formed for the sole purpose of promoting, expanding and protecting mobile food vendors. Also, we were the first permitted mobile food vendor in Nashville for the Mobile Food trucks pilot program as seen on WSMV. Click here to see us on WSMV 10 O'Clock News! Our prices are competitive and since we are a family run business with a single 'Machine', we spoil our clients with undivided attention. You will never be just a stop on a route because we do not run routes! We spend time with our customers making sure they get the full 'Machine' experience and not just focused on selling ice creams. 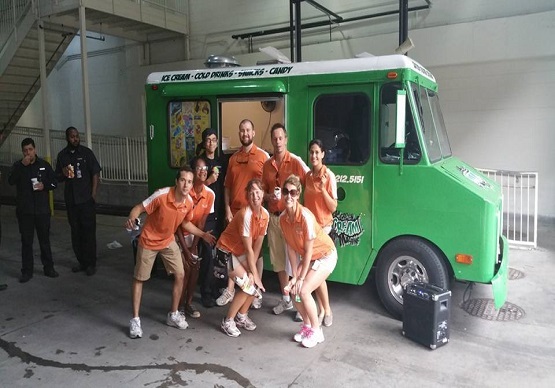 From birthdays, car shows, fairs, employee appreciation, picnics or any type of event, the Mean Green Ice Cream Machine is sure to 'Wow the Crowd'. 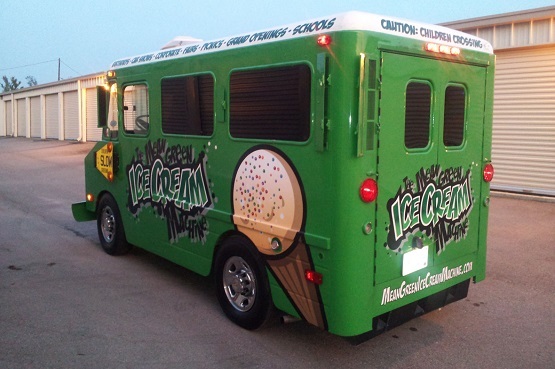 Learn more about this unique custom hydraulic ice cream truck and how you can have it showcased at your next event. Check out our fact sheets and contact us today to reserve your spot. Dates fill up fast!